Successfully Added MeeGoPad T09 Windows Mini PC - Unlicensed Win 10, Cherry Trail Quad-Core CPU, 4GB RAM, 128GB External Memory, Dual-Band Wi-Fi to your Shopping Cart. Take your computing experience to an entirely new level with the MeeGoPad T09 mini PC. This Windows mini computer features an extremely compact design yet it packs some decent hardware that lets you smoothly enjoy your media, games, and more in stunning beauty. Being able to decode 4K video, and displaying all media in 1080p Full-HD, this Windows 10 mini-PC truly brings along a media and gaming experience comparable with that of any high-end desktop computer. Powered by the Quad-Core 64-bit Intel Atom X5-Z8300 CPU which has been clocked at 1.44GHz, this mini PC holds the power to run the latest games without dropping a frame. With its internal cooling system, you can run the most demanding of programs without ever needing to worry about slowing down its performance. The T09 mini computer furthermore holds an Intel HD graphic card that lets you enjoy all media in breathtaking detail. 4GB of RAM additionally makes the T09 Stick PC Box a perfect platform for multitasking, making it a great mini computer that can be used for business and entertainment alike. Running on an unlicensed Windows 10 operating system this mini PC offers all the trusted and latest features that Windows users are familiar with. With its smooth and fast performance, the MeeGoPad T09 mini PC is guaranteed to offer a first class user experience that is capable of handling whatever you throw at it. Supporting Dual-Band Wi-Fi this mini PC stick provides you with the fastest data speeds out there, allowing you to stream online movies, play online games, and download files without any delay. Coming with 32GB of internal storage and the possibility to add another 128GB externally, this mini computer ensures that there always will be plenty of storage available for you to save all your files and media. Additionally, the MeeGoPad T09 mini computer can also be attached to your big screen TV, allowing you to browse the web, play games, and watch the latest movies from the comfort of your living room. By being able to decode 4K resolution, this smart home accessory truly lets you enjoy a cinematic experience. Whether you like to play games, watch movies, browse the web, or simply use it for business purposes – with this PC stick your options will be limitless. Being small in size this mini PC can be placed out of sight and, additionally, be carried around easily no matter where you go – allowing to you carry around your personal files, games, and media at any time. 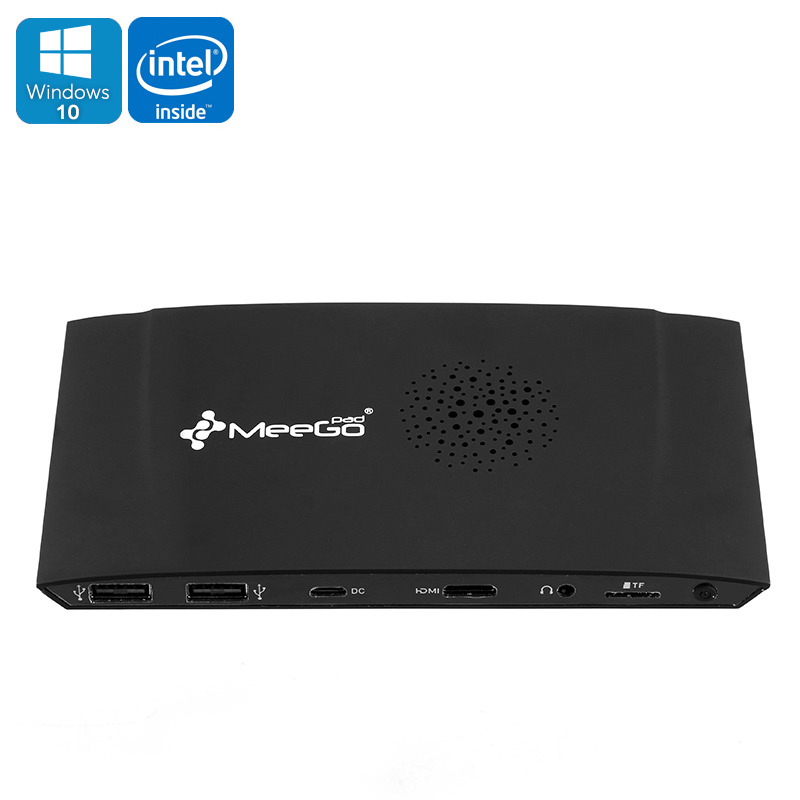 The MeeGoPad T09 mini PC comes with a 12 months warranty, brought to you by the leader in Windows computers as well as wholesale electronic gadgets.. Audio: MP3, WMA, RA, OGG, WAV, APE, FLAC, AC3, DTS, etc. Graphic: JPG, BMP, PNG etc. This device comes with an unlicensed version of Windows 10 Home. As a wholesaler, we provide no software support, advice, or training regarding the Android operating system and software.